In a bowl toss all ingredients together. To boost the protein content add in shredded BBQ chicken (if needing gluten free diet, it will have to be homemade chicken or gluten free roasted chicken), firm tofu, tempeh, tuna, salmon or boiled egg. 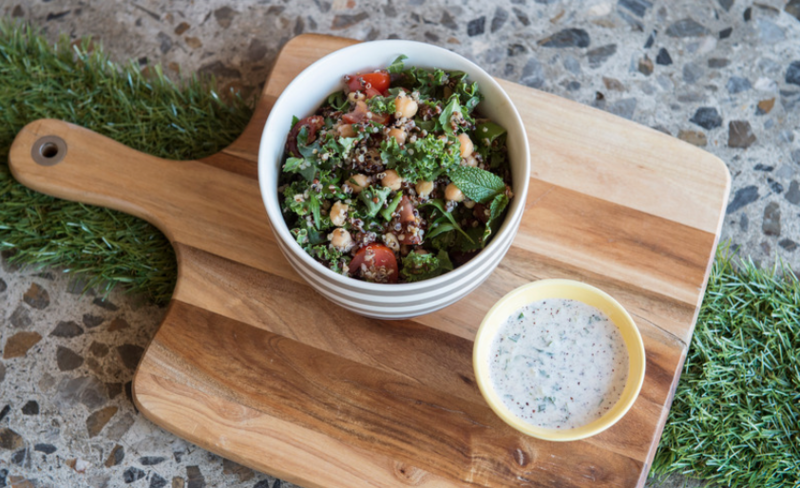 We recommend serving the quinoa tabouli with our yoghurt sauce. To make the sauce, combine all the ingredients, mix well and refrigerate. ← Are you working out your bowel muscles?